Draft: 2013, Chicago Cubs, 1st rd. Kris has garnered numerous accolades in his young career, including two All-Star teams, the 2015 N.L. Rookie of the Year Award and the 2016 N.L. MVP ... his 107 career homers are the most-ever by a Cub in his first four major league seasons, surpassing Ernie Banks' 93 homers from 1953-56 ... Was the first Cub ever to hit 25-or-more homers in each of his first three major league seasons ... also the first Cub ever to play at least 150 games in each of his first three campaigns ... thanks STATS Inc ... His 10 multi-homer games prior to the age of 26 are tied for the most in franchise history with Ron Santo and Sammy Sosa ... Was named the 2016 N.L. Most Valuable Player, garnering 29-of-30 first place votes ... became the 11th MVP honoree in franchise history, the ninth since the BBWAA began voting for the award in 1931 and the first Cub to win since Sammy Sosa in 1998 ... Is just the fourth player in major league history to be named MVP a season after winning Rookie of the Year, joining: Boston's Dustin Pedroia (2007 and 2008), Philadelphia's Ryan Howard (2005 and 2006) and Baltimore's Cal Ripken Jr. (1982 and 1983) ... Is one of just 15 players in MLB history to win Rookie of the Year, MVP and a World Series in his career ... Became the first Cubs third baseman to earn All-Star honors in consecutive seasons (2015-16) since Ron Santo (1971-73) and the fifth Cubs third baseman to earn multiple All-Star honors, joining Aramis Ramirez (twice), Ron Santo (nine times), Randy Jackson (twice) and Stan Hack (four times) ... In 2015, he became the first Cubs rookie to earn All-Star honors since outfielder Kosuke Fukudome and catcher Geovany Soto in 2008 ... other Cubs rookies to make the All-Star team: pitcher Sam Jones (1955), catcher Toby Atwell (1952, did not play) and second baseman Don Johnson (1944, did not play) ... At age 23, became the youngest Cubs third baseman to be elected an All-Star since 23-year-old Ron Santo earned his first selection in 1963 ... Participated, along with teammate Anthony Rizzo, in the 2015 MLB Home Run Derby during All-Star Week at Great American Ball Park ... Has batted .241 (35-for-145) with eight doubles, six homers and 16 RBI in 37 postseason games ... his 35 hits and eight doubles are Cubs postseason franchise records, while his 17 runs, six homers and 13 walks are tied for the most in franchise history ... Was unanimously named N.L. 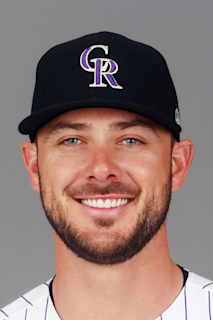 Rookie of the Year in 2015 as he set franchise rookie marks with 26 home runs, 99 RBI, 62 extra-base hits and 273 total bases ... was also named the 2015 National League Outstanding Rookie by the MLB Players Association ... Became the sixth player in franchise history to earn Rookie of the Year honors, the first since catcher Geovany Soto in 2008 ... other Cubs to earn Rookie of the Year honors: outfielder Billy Williams (1961), infielder Ken Hubbs (1962), outfielder Jerome Walton (1989) and Kerry Wood (1998) ... Is the first N.L. third baseman to win the award since Milwaukee's Ryan Braun in 2007 ... Named the recipient of the 2017 Chicago Cubs Heart and Hustle Award, presented by the MLB Players Alumni Association, given to a player on each team based on their passion, desire and work ethic, on and off the field ... Selected by the Cubs in the first round (second overall) of the 2013 draft ... earned 2014 Minor League Player of the Year accolades from both Baseball America and USA Today ... Rated as the top prospect in the organization heading into the 2015 season by Baseball America ... Named the 2014 Cubs Minor League Player of the Year by the organization and was a Southern League midseason All-Star ... Started at third base for the U.S. Team in the All-Star Futures Game at Target Field, July 13, 2014 ... Participated in the 2014 Cubs Rookie Development Program ... Attended the University of San Diego ... his 31 home runs in 2013 led the nation and are a single-season school record ... also led the nation with 80 runs, 66 walks and an .820 slugging mark in 2013 ... His 54 career home runs in three years at USD are a school record ... Named the recipient of the 2013 USA Baseball Golden Spikes Award, given to the best amateur baseball player in the United States ... also named the 2013 Baseball America Player of the Year, the 2013 Collegiate Baseball National Player of the Year and the 2013 Louisville Slugger National Player of the Year ... Graduated from Bonanza High School in Las Vegas, Nevada. Kris hit .272 (106-for-389) with 13 homers and 52 RBI in 102 games as he dealt with left shoulder inflammation, necessitating two D.L. stints (June 23-July 11 and July 24-September 1) ... marked the first time in his career he landed on the disabled list ... Hit .291 (23-for-79) with seven doubles, two triples, two homers and 11 RBI in the season's first month ... drew 15 walks compared to 14 strikeouts to contribute to a .441 OBP and a .948 OPS ... Reached base safely in 86 of 102 games ... Played 86 games at third base (79 starts), 15 games in right field (eight starts), 14 games in left field (10 starts) and four games at first base (one start) ... Hit .327 (71-for-217) with a .431 OBP in team wins and .203 (35-for-172) with a .299 OBP in team losses ... Batted leadoff seven times, going 9-for-28 (.321) with two doubles, one triple and three RBI ... Batted .280 (79-for-282) with 21 doubles and 10 homers in 70 games before the All-Star Break and hit .252 (57-for-226) with 17 doubles and three homers after the All-Star Break ... Recorded a double in each of his first three games to start the season … he's the first Cub to turn the trick since Moises Alou doubled in each of his first three games to begin the 2003 campaign ... Notched his 500th career hit on April 5 at Milwaukee in his 463rd career game, becoming the quickest player to start his major league career with the Cubs and reach the 500-hit mark since Starlin Castro did so in 421 games (September, 2012) ... Hit in head with a pitch, April 22 in Colorado (German Marquez) ... returned to action, April 28 ... Became the 22nd player in franchise history to reach 100 homers, May 9 vs. Miami … is the third Cubs third baseman to reach the mark, joining Ron Santo (337 homers) and Aramis Ramirez (239) ... Is the 10th player to hit his first 100 homers with the Cubs … among those players to begin their career with the Cubs, he is the fastest to reach 100 homers (487 games, eclipsing Ernie Banks' 500 games) ... Had an extra-base hit in a career-high five-straight games, May 2-7 ... Went 2-for-4 with a homer and a season-high four RBI, June 15 at St. Louis ... Made his first trip to the D.L., June 23, as he was battling left shoulder inflammation ... went 2-for-6 in two rehab games with Double-A Tennessee before returning, July 11 ... Hit .250 (10-for-40) with a double, two homers and eight RBI in 10 games before landing back on the shelf due to his left shoulder, July 24 ... played four rehab games with Triple-A Iowa, August 27-30, and batted .200 (2-for-10) before he was activated, September 1 ... Batted .325 (13-for-40) with five doubles and three RBI in his first 12 games returning from the D.L., September 1-12. Kris followed up his 2016 MVP campaign with another stellar season as he ranked third in the N.L. with a 6.7 WAR according to Fangraphs ... trailed only Washington's Anthony Rendon (6.9) and Miami's Giancarlo Stanton (6.9)... Collected three multi-homer efforts: April 15 vs. Pittsburgh, May 21 vs. Milwaukee and July 7 vs. Pittsburgh... Led the Cubs with 95 walks, 111 runs scored, a .409 OBP, a .537 slugging and .946 OPS... His .409 OBP was the highest by any Cub in a single season since 2005, when Derrek Lee logged a .418 OBP... Ranked among the N.L. leaders in runs scored (111, 5th), total bases (295, 8th), doubles (38, 6th), walks (95, 3rd), OBP (.409, 4th), extra-base hits (71, t-5th) and road batting average (.331, 4th)... Batted .298 (37-for-124) with a .439 OBP against left-handed pitchers ... batted .294 (125-for-425) with a .400 OBP against righties... Batted .325 (82-for-252) with 21 doubles, 11 homers and 35 RBI after the All-Star Break ... hit .269 (80-for-297) with 17 doubles, 18 homers and 38 RBI prior to the All-Star Break... Batted .343 (35-for-102) in 28 August games ... overall batted .333 (62-for-186) beginning August 3... Reached base in a career-high 34-straight starts from August 3-September 9 ... batted .328 (40-for-122) with 12 doubles, five homers, 22 walks and a .454 OBP during the span ... was the longest streak by a Cubs player since Ben Zobrist reached in 35-straight starts during the 2016 season... Recorded a season-high 11-game hitting streak on two occasions: April 18-30 (.378/17-for-45) and August 3-14 (.465/20-for-43)... Reached base in 13-of-15 plate appearances (six singles, two doubles, a homer, three walks, one hit-by-pitch) in the Cubs' road series win over the Diamondbacks, August 11-13 … that translates to an .867 OBP, tied for the second-highest mark in franchise history for a three-game series (min. 10 AB), bested only by Mark DeRosa's .917 OBP from September 17-19, 2007 vs. Cincinnati... His 13 times on base in the three-game series tied for the most times on base in a single three-game series in club history (also, Bill Madlock, July 11-13, 1975 vs. Cincinnati)... He recorded three-straight three-hit games in the set, becoming the first Cubs player to record three-straight three-hit games since Starlin Castro from August 1-3, 2011... Collected a season-high-tying four hits and four RBI, July 7 vs. Pittsburgh ... went 4-for-5 with a triple, two homers and three runs in the Cubs' 6-1 victory ... also drove in four runs September 12 vs. the Mets... Recorded an 11-game hitting streak, April 18-30 … he batted .378 (17-for-45) with six doubles, two homers, seven RBI, eight walks, a .463 on-base percentage and a .644 slugging mark during the streak... That hitting streak began a stretch in which he reached in 18-straight games through May 7 ... hit .365 (27-for-74) with six doubles, a triple, four homers, nine RBI, 14 walks and a .461 on-base percentage during that 18-game stretch... Left the game, June 28 in Washington, after suffering a left ankle sprain ... returned July 1 at Cincinnati... Went 8-for-40 (.200) with two doubles, one homer and three RBI in 10 postseason games ... the eight hits led the club ... homered in Game Five of the NLCS vs. the Dodgers. Kris was named the BBWAA N.L. Most Valuable Player and started the All-Star Game at third base for the N.L. squad ... ranked among the N.L. leaders in home runs (3rd, 39), runs scored (1st, 121), RBI (6th, 102), OBP (9th, .385), slugging (4th, .554), OPS (4th, .939) and WAR (1st, 8.3)...His 39 homers were the most by a Cubs player since Derrek Lee hit 46 in 2005 and his 121 runs were the most by a Cubs player since Sammy Sosa scored 122 times in 2002 ... became the youngest Cubs player to ever reach both 39 homers and 120 runs in a season ... According to STATS Inc., his WAR of 8.3 was the highest by a Cubs player since Sammy Sosa posted a 9.2 WAR in 2001 ... Became just the second Cub ever to reach 35 homers in his age-24 season, joining Ernie Banks in 1955 ... also became the second player in baseball history to hit at least 35 homers while playing at least 10 games at 3B, LF and RF in the same season, joining Albert Pujols in 2001 ... Was named a National League All-Star for the second-straight season, and became the first Cubs 3B to start the game since Aramis Ramirez in 2005 ... Went 1-for-2 with a solo home run in the All-Star Game, July 12 in San Diego ... became the eighth Cubs player to homer in the game, and first since Alfonso Soriano in 2007 ... joined Andruw Jones (2005) as the only players in the last 30 years to lead the N.L. in homers at the Break and then homer in the All-Star Game (courtesy Elias) ... April 21 in Cincinnati went 4-for-6 with two homers (including a grand slam), six RBI and four runs scored, tying his career-high in RBI and runs scored in support of Jake Arrieta's no-hitter ... Became the youngest Cubs player ever to hit three homers in a game, June 27 at Cincinnati, as he went 5-for-5 with three homers, two doubles, six RBI, four runs scored and a franchise-record 16 total bases ... accomplished the feat 10 days younger than Ernie Banks in 1955. w Became the first player in Major League history to record three homers and two doubles in a game. w Became only the third player in major league history with an extra-base hit in every at-bat in a game (min. five at-bats) with at least three home runs, joining Texas' Josh Hamilton (May 8, 2012, 4 HR, 2B at Baltimore) and Milwaukee's Joe Adcock (July 31, 1954, 4 HR, 2B at Brooklyn) ... Hit 11 homers in June, tied for the most in the majors and his most in any calendar month in his career ... Recorded his second five-hit game of the season, August 18 vs. Milwaukee, going 5-for-5 with a double, two homers, four runs scored and five RBI ... his second homer was his 30th of the season ... Was named N.L. Player of the Month for August after leading the league with a .748 slugging percentage and tying for second with 10 homers ... batted .383 (41-for-107) in 27 games ... Reached in a career-high 21-straight games, August 14-September 4 ... included in the stretch was a career-high tying 14-game hitting streak (.455/25- for-55), August 18-September 1 ... Finished the first half with 25 homers, 73 runs and 65 RBI ... became the sixth player in franchise history to reach 25 homers by the All-Star Break, the first since Derrek Lee (27) in 2005 ... became only the fourth player in franchise history to surpass 70 runs by the All‐Star Break, joining Billy Williams (78 in 1970), Don Kessinger (77 in 1969) and Sammy Sosa (72 runs in 2001) ... Became the youngest Cubs player to reach 20 homers prior to the Break since a nearly identically aged 24-year-old Ernie Banks did so in 1955 ... Tied for the team lead with four multi-homer games ... according to Elias, Bryant is only the fifth Cub in franchise history to record five multi-homer games before his 25th birthday ... Batted .308 (20-for-65) in 17 postseason games, tallying five doubles and three homers while knocking in eight runs ... his 20 hits were the most in Cubs history during a single postseason ... his 11 runs scored were tied for the most-ever by any Cubs player ... Hit a game-tying two-run homer in the ninth inning of NLDS Game Three ... was the first by a Cub to at least tie a postseason game in the ninth or later since Sammy Sosa hit a game-tying two-run homer off Ugueth Urbina in the ninth inning of Game One of the 2003 NLCS ... Homered in Game Five of the World Series, becoming the second-youngest Cubs player all-time with a World Series homer ... Went 4-for-5 with a homer, RBI and two runs scored in World Series Game Six, becoming only the fifth player 24 years old or younger to record at least four hits with a home run in a Fall Classic game. Kris Bryant was named a N.L. All-Star and N.L. Rookie of the Year after leading major league rookies in many offensive categories, including homers (26, tied), RBI (99), doubles (31) and runs (87) while ranking second in walks (77) ... in major league history, the only other player to reach 26 homers, 99 RBI, 31 doubles, 87 runs and 77 walks in his rookie season was Boston's Ted Williams in 1939. Set franchise rookie records with his 26 home runs, 99 RBI, 62 extra-base hits and 273 total bases. His 26 home runs surpassed Billy Williams' 25 in 1961, and were the most-ever by a Cub in his first season in the majors (previously held by Mandy Brooks, 14 in 1925). His 99 RBI were the most by any N.L. rookie since Washington's Ryan Zimmerman had 110 in 2006. Named N.L. Rookie of the Month for both May and August. w Was the first Cubs rookie to have at least 22 RBI in May since Bob Speake had 29 in 1955 and Ernie Banks had 27 in 1954. Recorded 17 game-winning RBI ... since the turn of the century, only two others have reached 17 game-winning RBI in their rookie campaign: Albert Pujols (21 in 2001) and Hideki Matsui (17 in 2003). Batted .275 (154-for-559) on the season, and had an OPS of .805 or better in five of the season's six months: April (.864), May (.879), June (.805), August (1.042) and Sept./Oct. (.858). Amassed 15 homers and 64 RBI in his first 100 career games ... the only other Cub to hit at least 15 homers and drive in 60 runs in his first 100 career games is Vince Barton (16 HR, 65 RBI) in 1931-32. Had three hitting streaks of at least 12 games, becoming the first Cub to record three hitting streaks of at least 12 games in a season since Ron Santo did so in 1966. w Became the first Cubs rookie to accomplish the feat since at least 1921. Played 144 games at third base (136 starts), eight games in left field (four starts), seven games in right field (five starts) and seven games in center field (one start). w Recorded a .951 fielding percentage (17 E/347 TC) at the hot corner, and committed just one error in his last 25 games (47 TC) there. Selected by Chicago, April 17, and made his major league debut that day vs. San Diego ... went 0-for-4. Reached safely five times and recorded his first major league hit and RBI with a fifth-inning run scoring single off San Diego's Tyson Ross, April 18 at Wrigley Field. Two hits and two RBI, April 21 in Pittsburgh, gave him eight hits and six RBI in his first five career games. w Only two other players in Cubs history had that many hits and RBI in their first five career games: Andy Pafko in 1943 (11 hits, eight RBI) and Jorge Soler in 2014 (10, 7). Recorded three multi-hit, multi-RBI efforts in his first 10 career games, becoming just the third Cub to accomplish the feat ... Mandy Brooks had five such games in his first 10 major league contests in 1925, and Joe Marty had multiple hits and RBI in three of his first 10 big league games in 1937 (thanks to Elias). Hit his first career home run, May 9 in Milwaukee ... was a three-run blast in the third inning off Kyle Lohse. Hit a game-tying homer in the eighth inning, May 26 vs. Washington, becoming the first player to homer off the left field video board. © Led all rookies with 22 RBI in May, seven more than the next closest player, San Francisco's Matt Duffy. © Recorded a career-high 14-game hitting streak, June 3-18, in which he batted .351 (20-for-57) with 10 runs, five doubles, a triple, a home run, six RBI, six walks and a .948 OPS. w Was the longest hitting streak by a Cubs rookie since Jerome Walton's MLB rookie record 30-gamer in 1989. Belted his first career grand slam, June 17 at Cleveland, in the ninth inning off David Murphy in a 17-0 win. Drove in a career-high six runs, and hit his second grand slam of the season, July 4 vs. the Marlins ... recorded his second multi-homer game. w Became the first Cubs rookie to hit multiple slams in a season since Billy Williams in 1961. Delivered his first career walk-off homer, July 27 vs. Colorado ... his two-run shot off Jonathan Axford came with the team down 8-7 and two outs in the ninth. w Elias notes that the 23-year-old Bryant is the second-youngest in Cubs history to hit a come-from-behind walk-off homer … the youngest was 21-year-old Ad Gumbert, who hit a game-ending three-run homer to defeat Indianapolis, 7-6, on July 25, 1889. Had a career-high four hits vs. Detroit, August 19. Hit .330 (33-for-100) with seven homers, 20 RBI, a .422 on-base percentage and a .620 slugging mark in 28 August games. © Tied the Cubs rookie franchise record with his 25th homer, September 19 vs. the Cardinals. Hit .176 (6-for-34) with a double, triple, two homers and five RBI in nine post-season games ... hit a game-winning two-run homer in Game Three of the NLDS vs. the Cardinals. Kris Bryant led minor league baseball with 43 home runs, 78 extra-base hits, 325 total bases, a .661 slugging percentage and a 1.098 OPS in 138 games between Double-A Tennessee and Triple-A Iowa ... his 118 runs and .438 OBP ranked second while his 110 RBI were third. Played 129 games at third base, and recorded a .944 fielding percentage (21 E/372 TC). Began the season with Tennessee and hit .355 (88-for-248) with 20 doubles, 22 homers, 58 RBI, a .458 on-base percentage and a .702 slugging mark in 68 games. Named Southern League Hitter of the Week three times: May 5-12, May 26-June 1 and June 2-8. Earned Southern League mid-season All-Star honors and led the league in batting average, home runs and RBI at the break. Promoted to Iowa, June 19, following the Southern League All-Star break ... hit .295 (72-for-244) with 14 doubles, one triple, 21 homers and 52 RBI in 70 games. Kris, selected second overall in the draft, combined to hit .336 (43-for-128) with 14 doubles, two triples, nine home runs, 32 RBI, a .390 on-base percentage and a .688 slugging mark between Rookie League Mesa, Single-A Boise and Single-A Daytona...Had a 15-game hitting streak with Boise, July 26-August 11, hitting .415...Named Northwest League Player of the Week for August 5-11 ... went 9-for-17 (.529) with three doubles, a triple, a home run and five RBI in a five-game set against the defending NWL champion Vancouver Canadians...Following a promotion to Daytona, named the Florida State League Player of the Week for August 12-18, batting .360 (9-for-25) with three home runs and five RBI in seven games...Tabbed as the Cubs Minor League Player of the Month for August by the organization after hitting .381 with 16 runs, nine doubles, a triple, seven homers and 21 RBI in 24 games between Daytona and Boise...Helped Daytona to the Florida State League title ... batted .350 (7-for-20) with a .908 OPS in the postseason...Went on to earn Arizona Fall League MVP honors with the Mesa Solar Sox, helping the club to the title game ... hit safely in 17 of 20 games, and batted .364 (28-for-77) with 15 extra-base hits. September 1, 2018 Chicago Cubs activated 3B Kris Bryant from the 10-day injured list. August 27, 2018 Chicago Cubs sent 3B Kris Bryant on a rehab assignment to Iowa Cubs. July 26, 2018 Chicago Cubs placed 3B Kris Bryant on the 10-day disabled list retroactive to July 24, 2018. Left shoulder inflammation. July 11, 2018 Chicago Cubs activated 3B Kris Bryant from the 10-day disabled list. July 9, 2018 Chicago Cubs sent 3B Kris Bryant on a rehab assignment to Tennessee Smokies. June 26, 2018 Chicago Cubs placed 3B Kris Bryant on the 10-day disabled list retroactive to June 23, 2018. Left shoulder inflammation. April 17, 2015 Chicago Cubs selected the contract of 3B Kris Bryant from Iowa Cubs. February 6, 2015 Chicago Cubs invited non-roster 3B Kris Bryant to spring training. July 17, 2014 Iowa Cubs activated 3B Kris Bryant from the temporarily inactive list. July 12, 2014 Iowa Cubs placed 3B Kris Bryant on the temporarily inactive list. June 18, 2014 3B Kris Bryant assigned to Iowa Cubs from Tennessee Smokies. January 24, 2014 Chicago Cubs invited non-roster 3B Kris Bryant to spring training. August 13, 2013 3B Kris Bryant assigned to Daytona Cubs from Boise Hawks. July 23, 2013 Kris Bryant assigned to Boise Hawks from AZL Cubs. July 21, 2013 Kris Bryant assigned to AZL Cubs. July 12, 2013 Chicago Cubs signed 3B Kris Bryant.